It’s the perfect time of year for a day trip or a long weekend on the gorgeous hidden south shore of Massachusetts! Plymouth is the perfect location for all of your families summer fun. 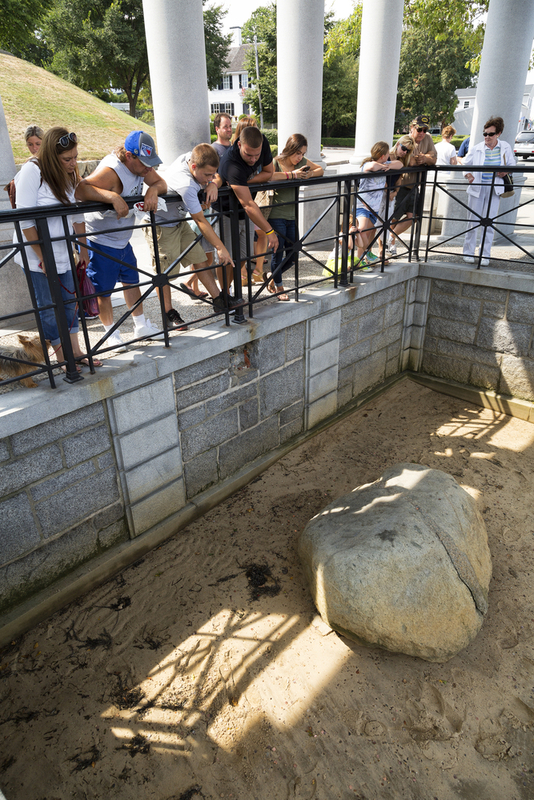 You can always keep your history new with a visit to Plimoth Plantation or the famous Plimoth Rock. The Mayflower two has returned to State Pier and is open daily for tours, perfect for keeping everybody entertained and those brains ticking on long summer days. After touring be sure to check out the many local dining options, from Sushi to Burgers and of course seafood ~ you’ll be satisfied for wherever your free time takes you. Golf courses, museums and shopping can easily fill a weekend. I also know there are a few breweries and a winery to be checked out for parties, dates or girls nights. Make the most of the summer! Make sure you pack simply and smart, you’ll be thankful when you start your day! I have created the perfect packing lip gloss for all your daily and especially travel needs. BostonMints Plantation Peach is the perfect cool and sheer summer color to put on bare for a quick stroll or to layer over your favorite lipstick for optimal depth and shimmer. 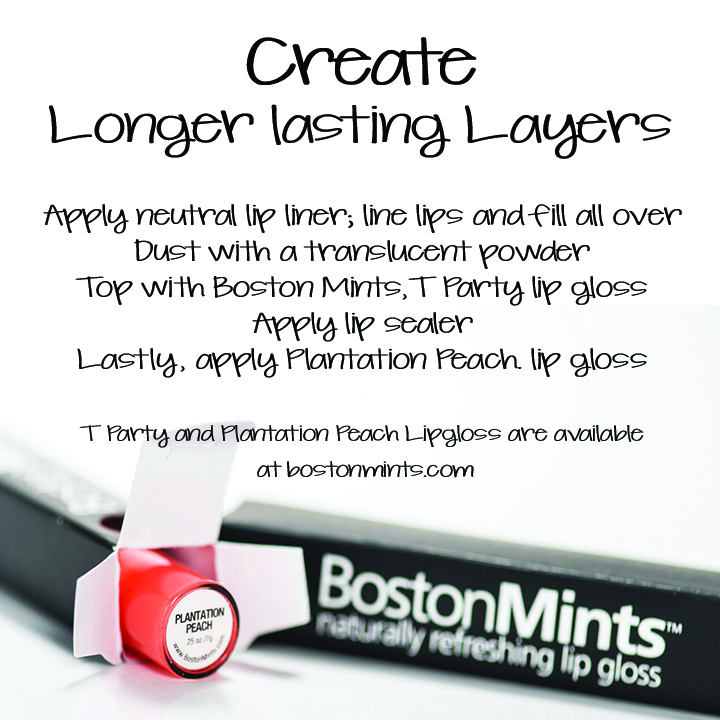 Fabulous healthy lips are always on hand, with a quick swipe of the natural goodness of Boston Mints. Refreshing spearmint, Vitamins C and E, and the healing and protectant Aloe Vera will keep your pucker in top shape this summer. My line of lip gloss comes in many different shades including the two newest, Back Bay Berry and STRONG. You can never go wrong with the mix and match shades of the entire line, never tested on animals and Gluten Free, it’s perfect for everybody. Place your order today so you’ll have all the perfect accessories for that special summer day!